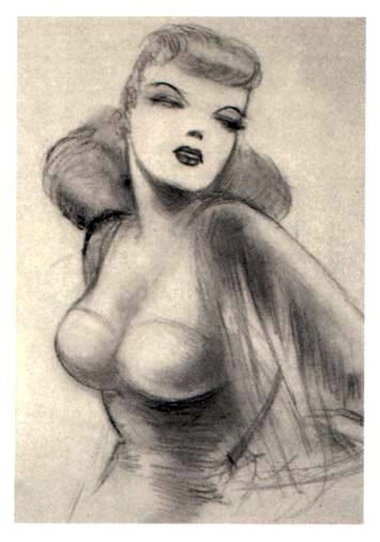 An early drawing of Lois Lane by Joe Shuster. Joanne Siegel passed away yesterday, February 14th, at age 93. In the 1930’s, Joanne Kramer met Jerry Siegel and Joe Shuster in Cleveland when she was hired to do some modeling for Joe, and she was the inspiration for the character of Lois Lane. She would meet Jerry Siegel again by chance in the late 1940’s and would go on to marry him in 1948. Jerry Siegel passed away in 1996. They are survived by their daughter Laura. Our condolences to the Siegel family in this time of loss.